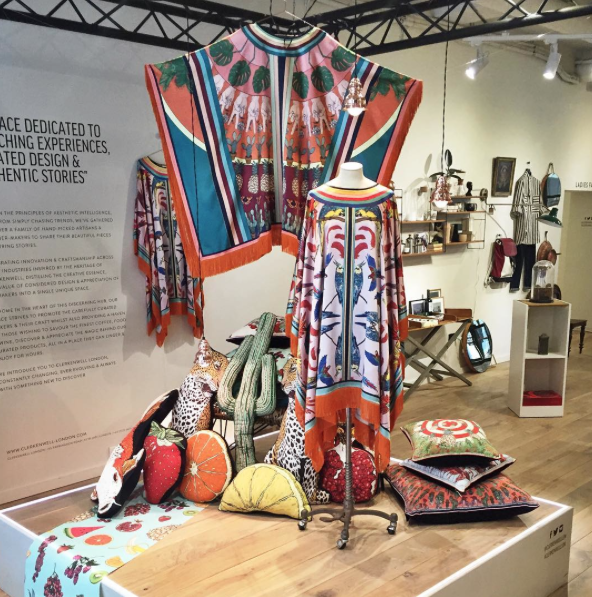 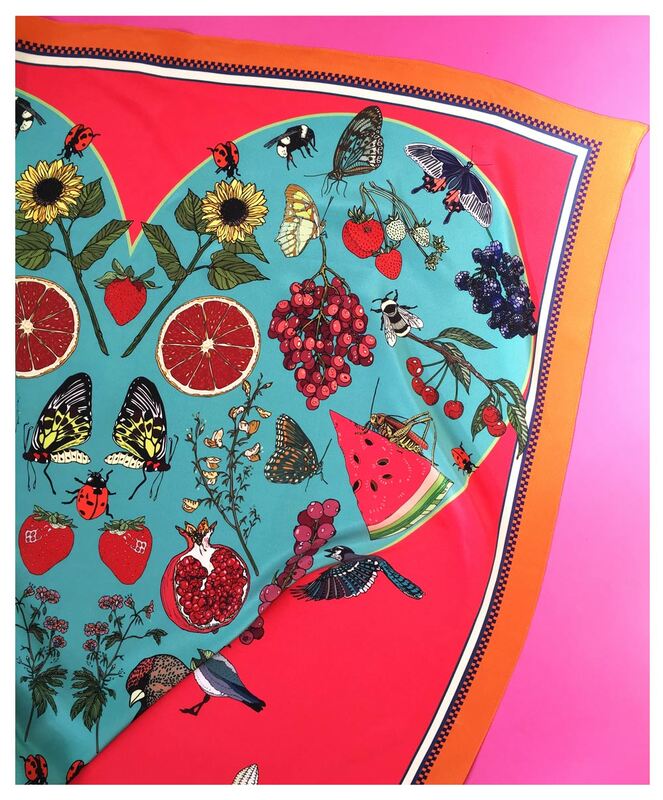 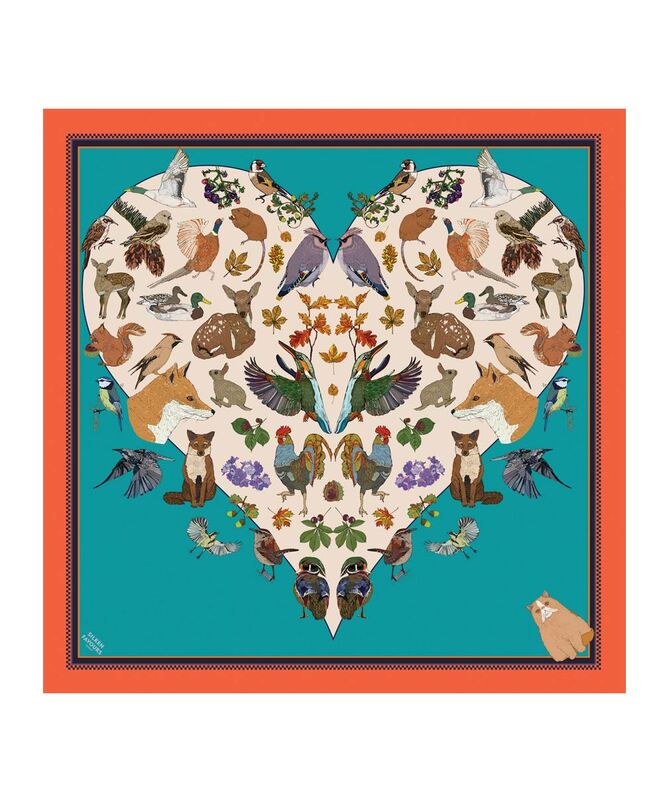 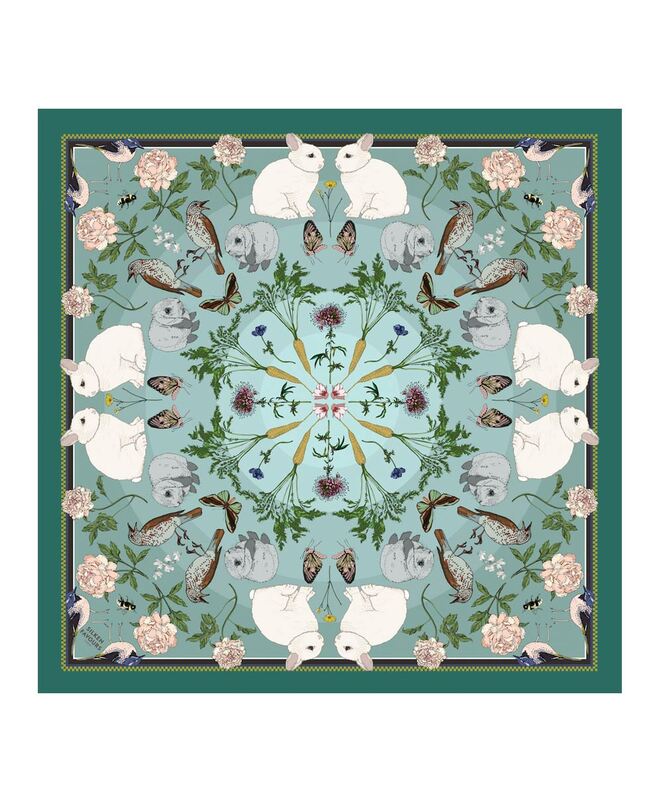 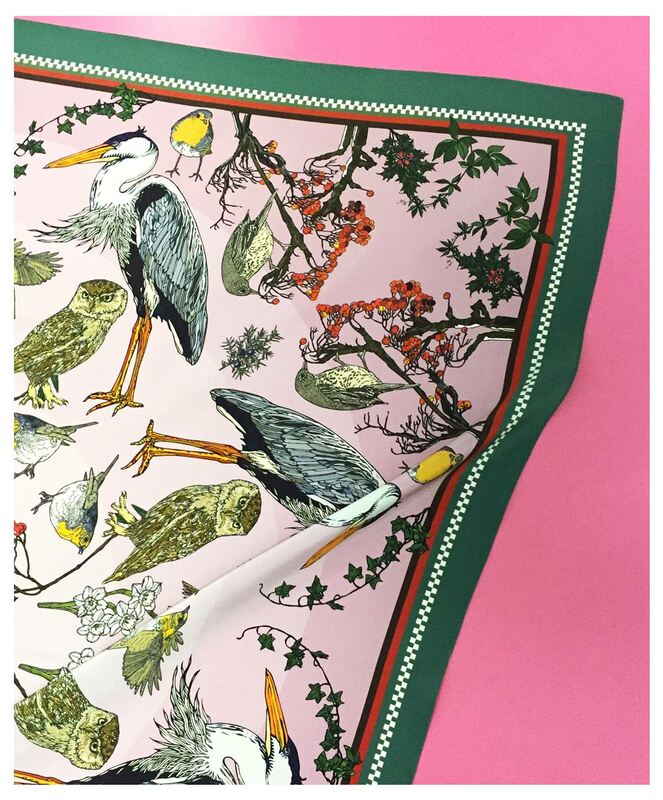 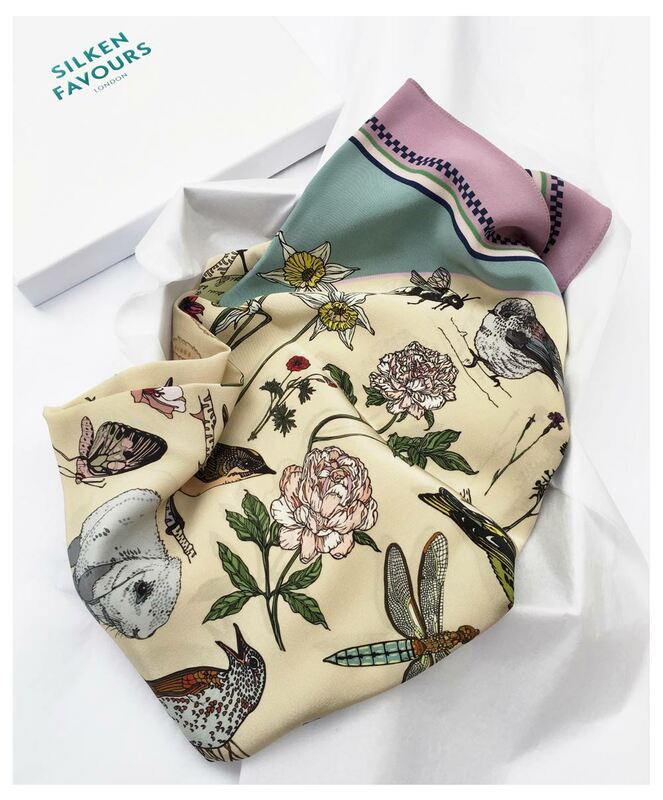 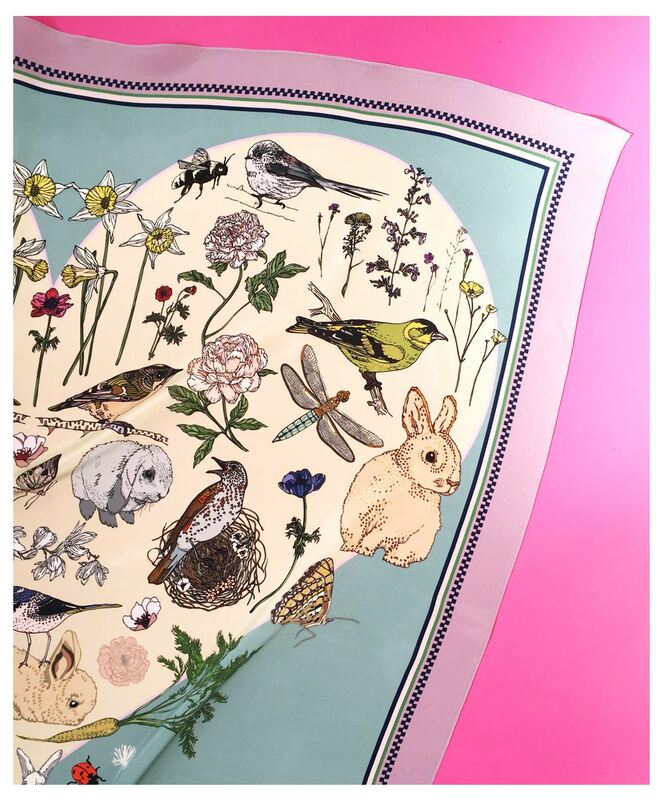 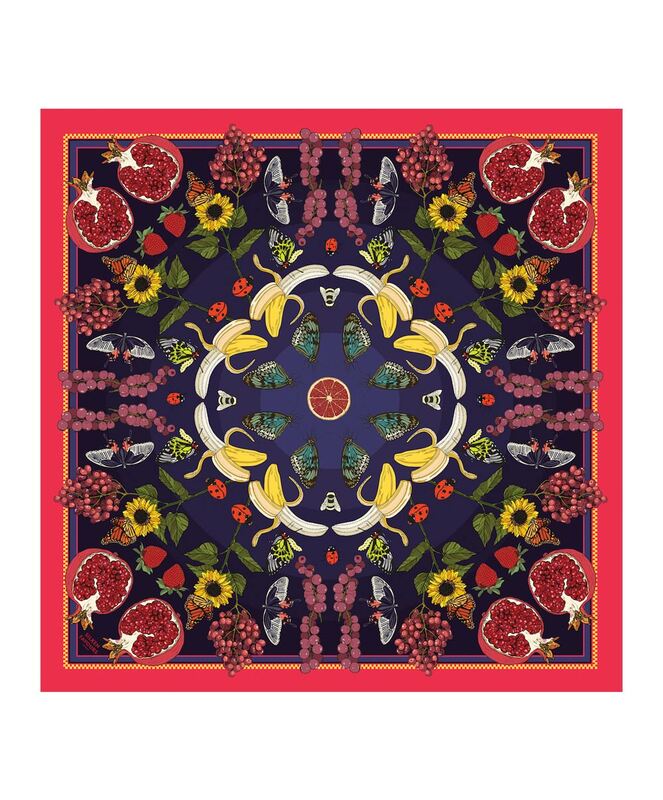 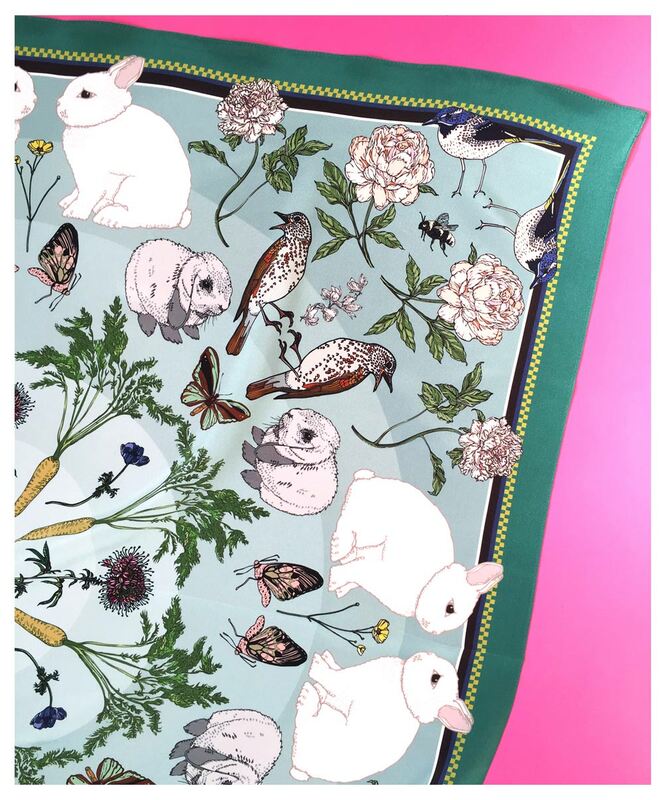 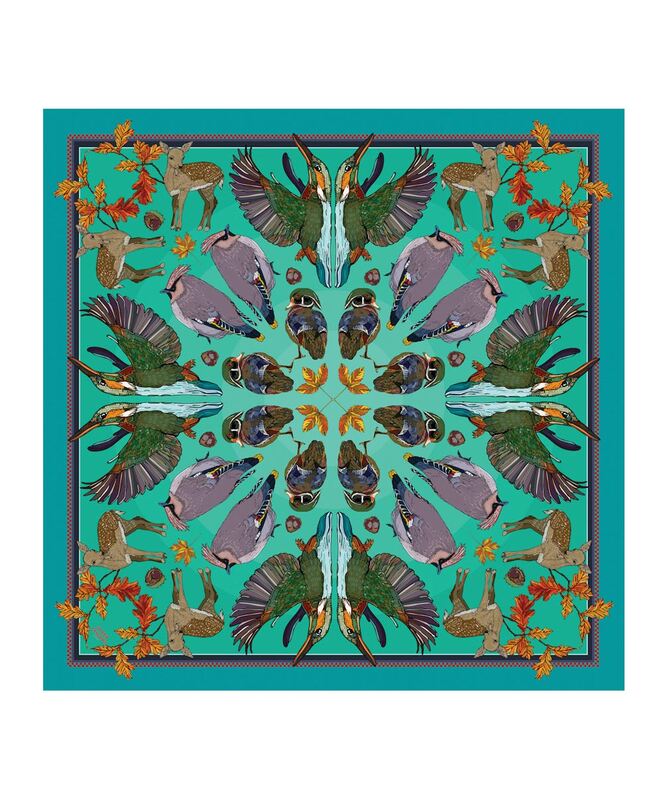 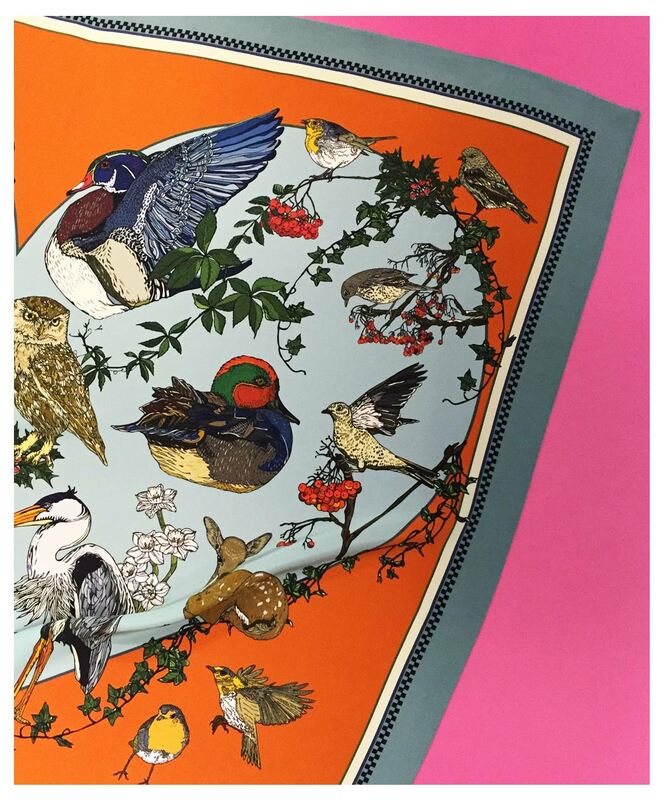 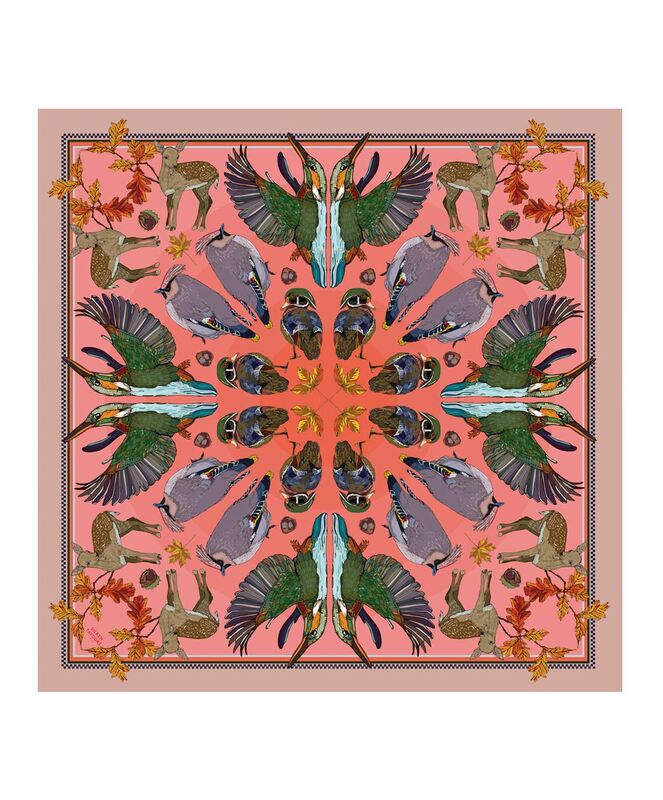 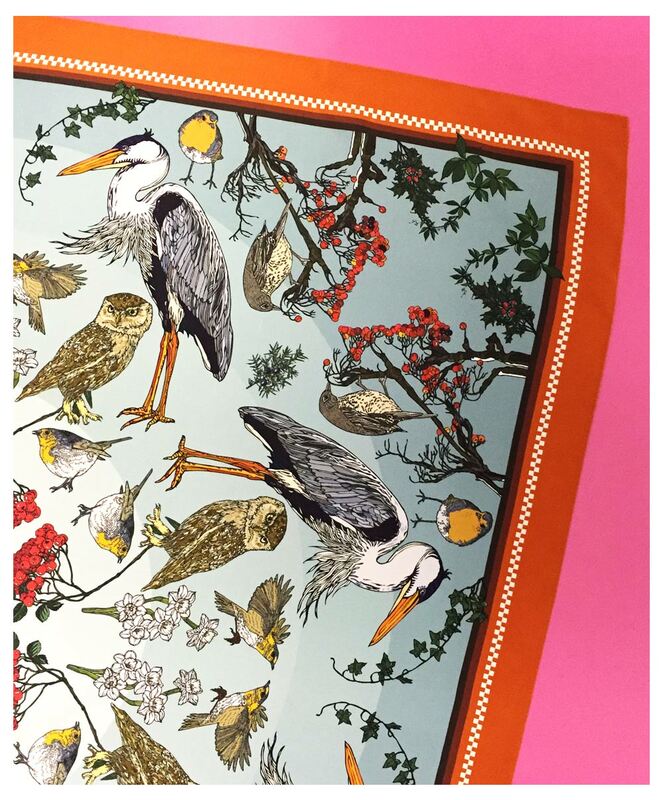 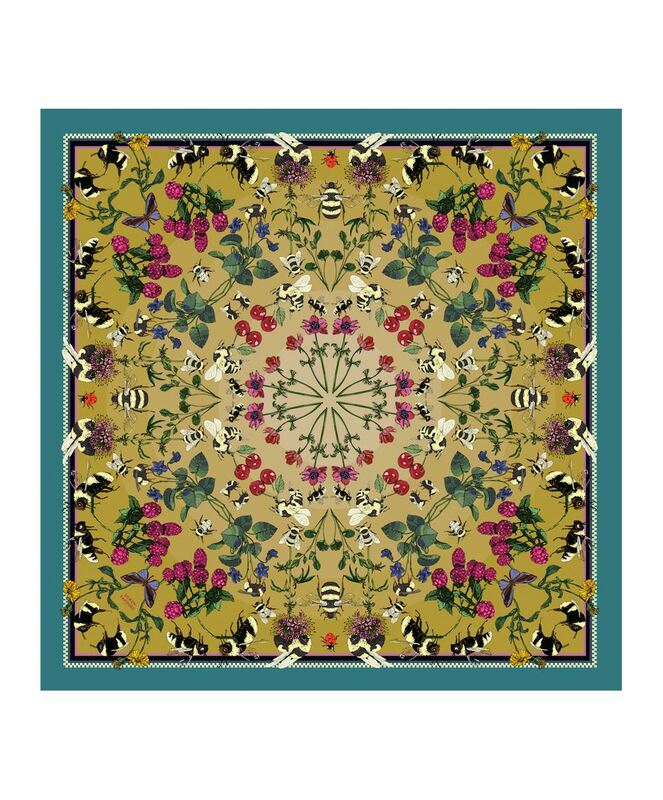 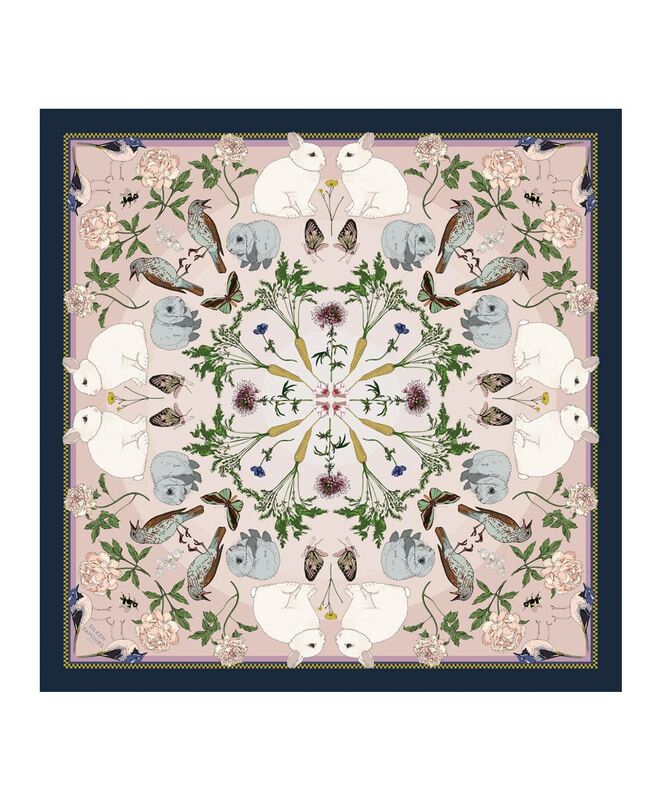 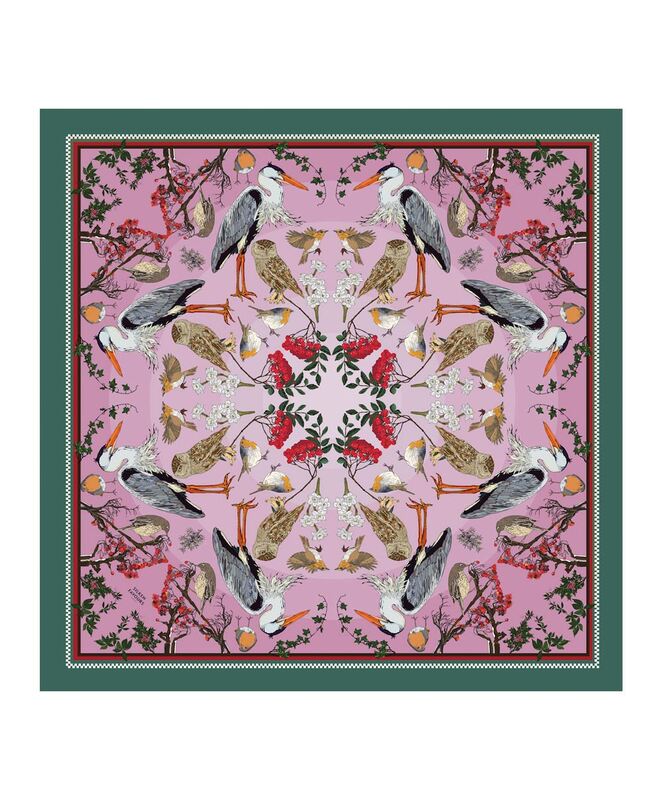 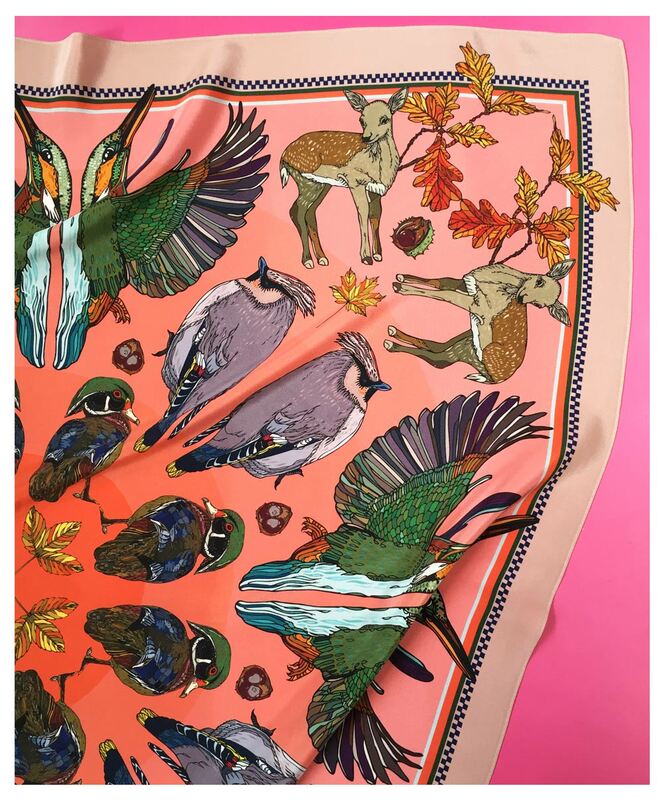 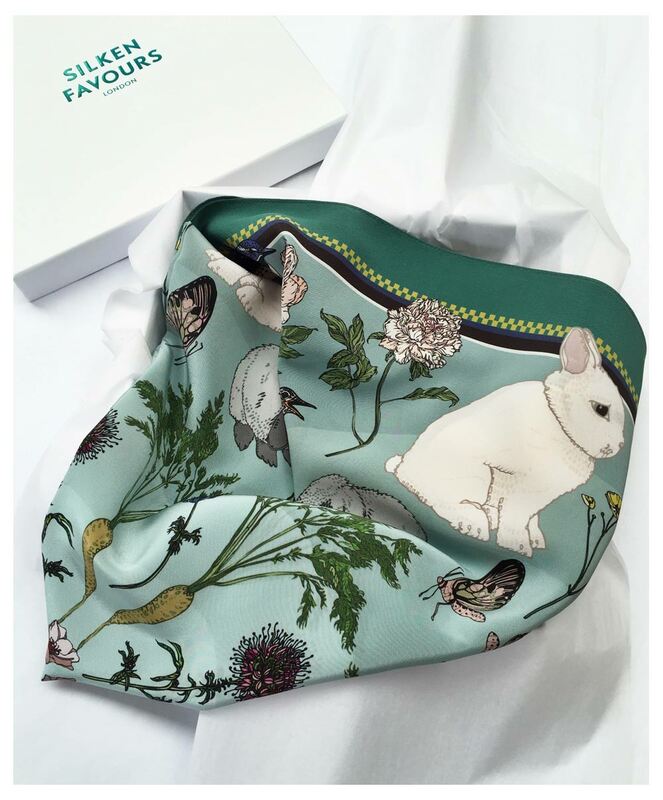 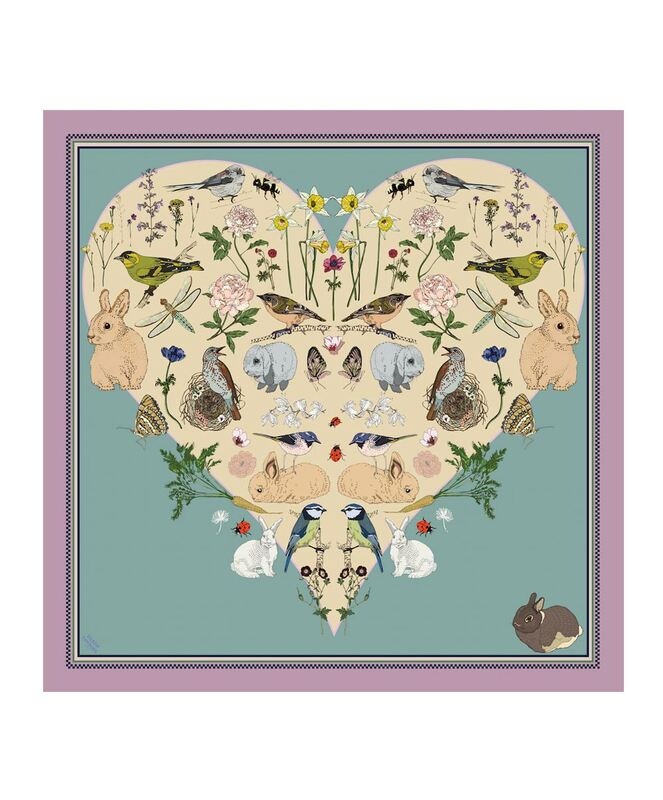 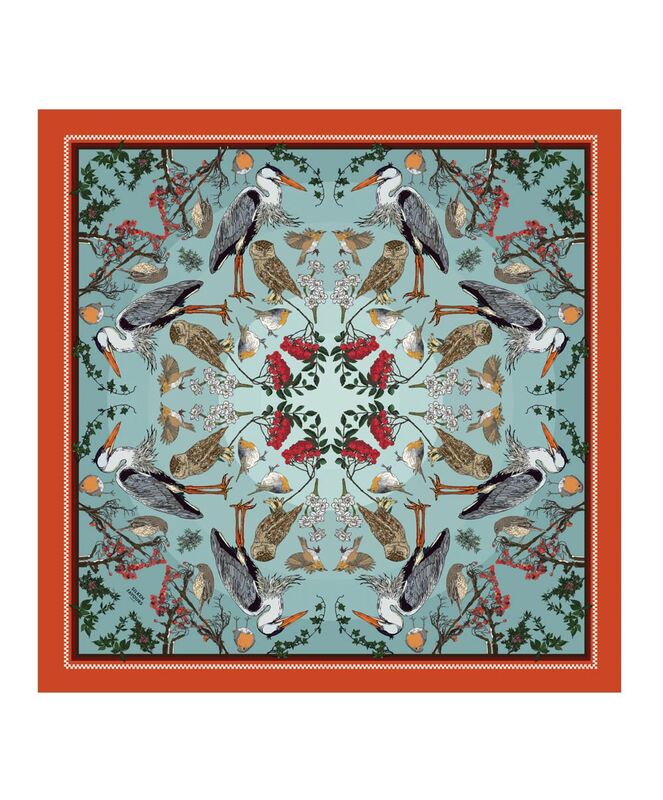 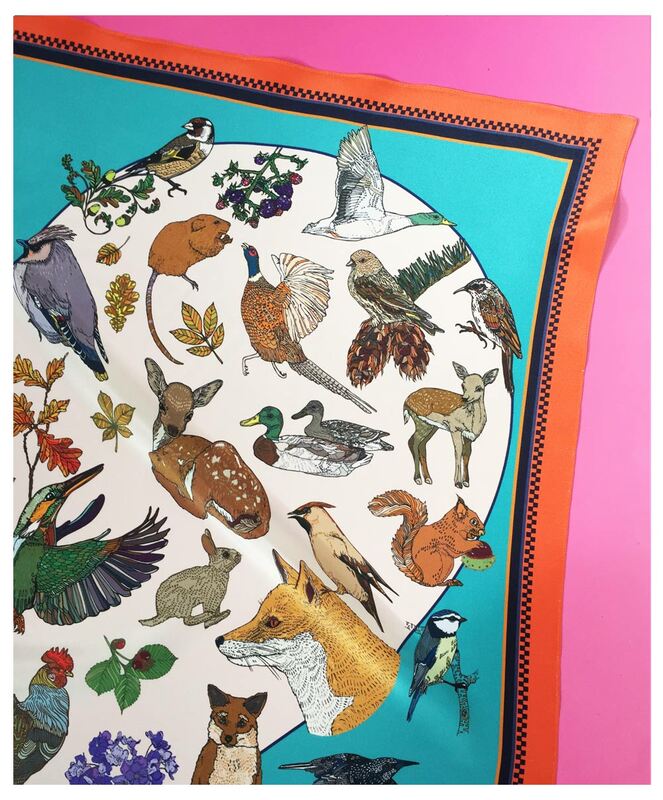 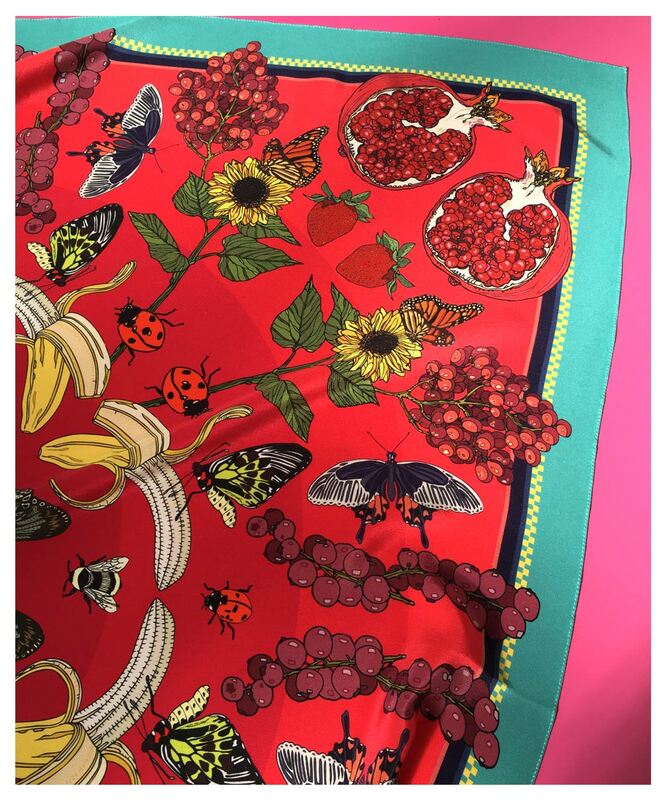 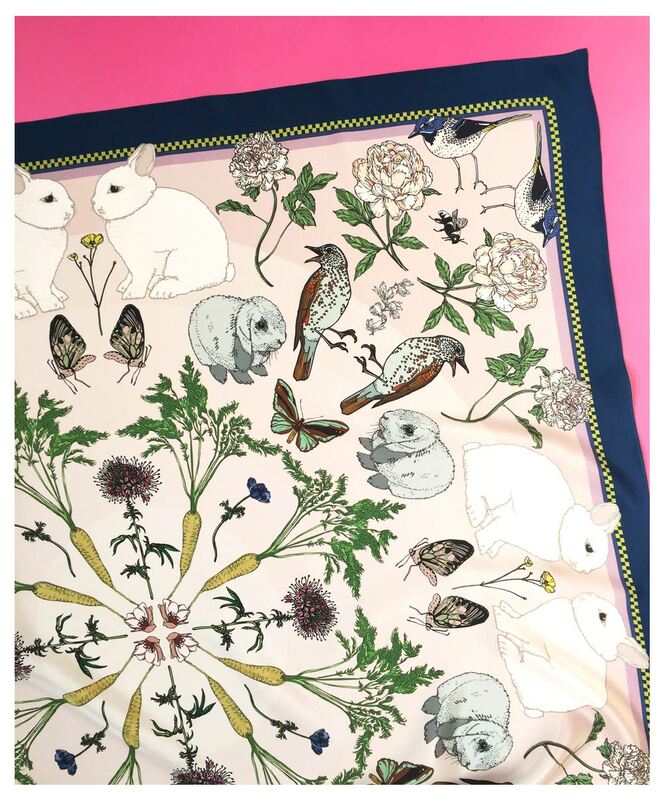 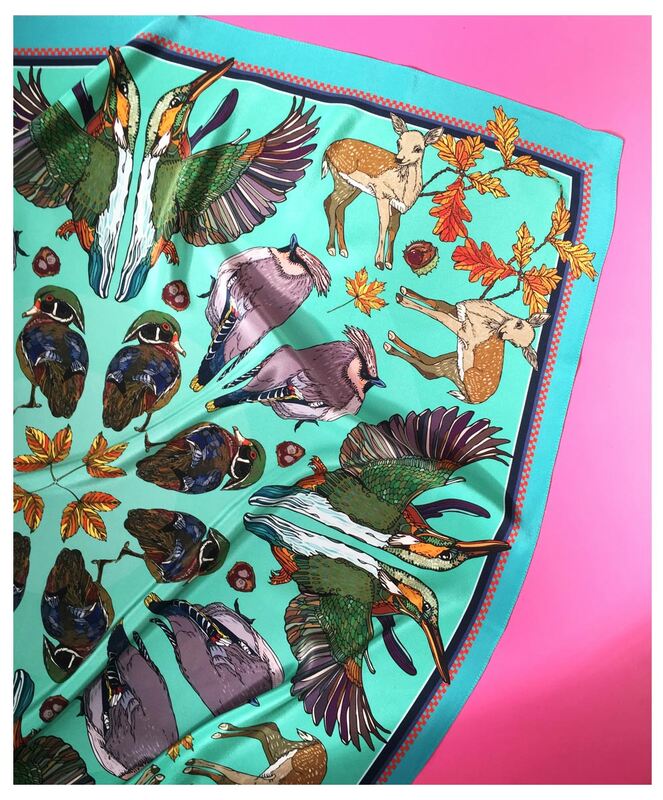 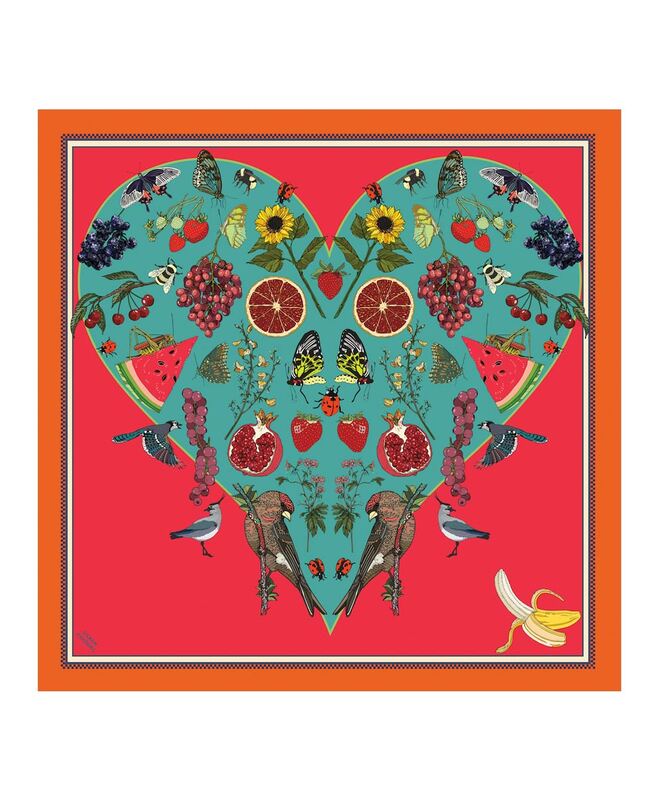 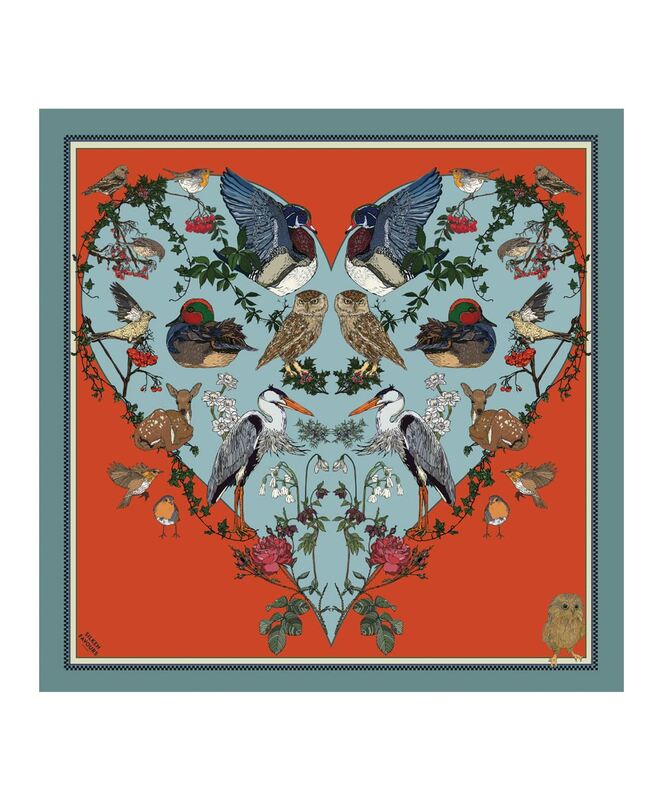 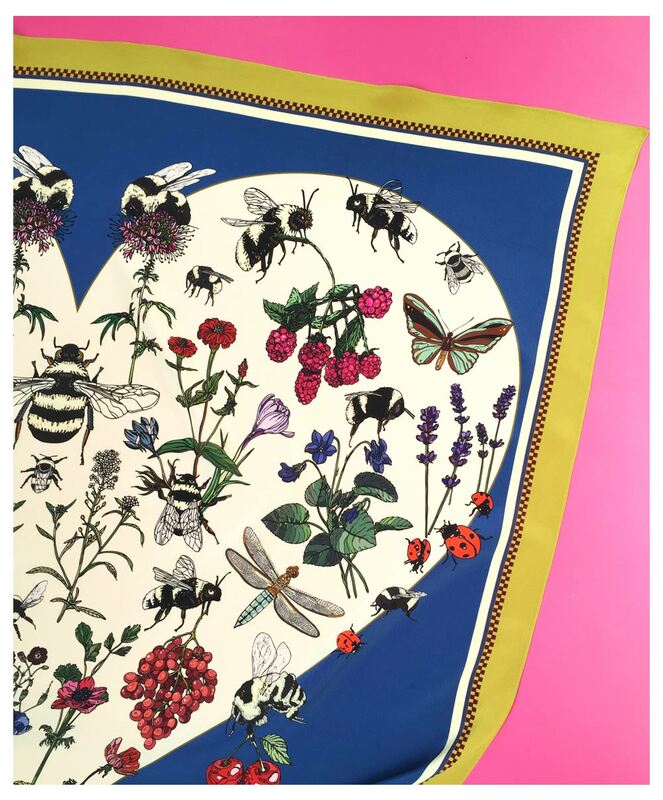 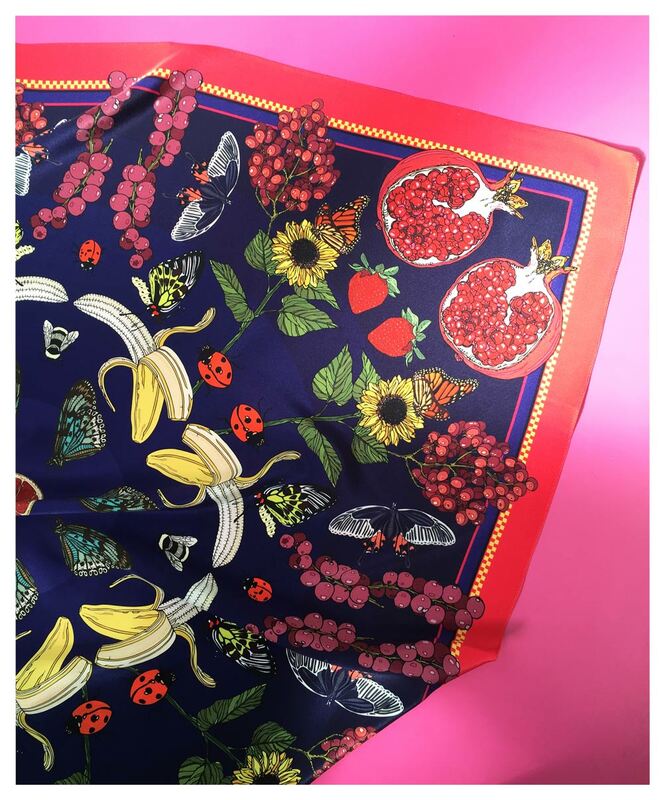 Silken Favours new collection – Seasonal love, is a joyous mix of British floral and fauna, moving through the seasons, each design depicts that time through intricate illustration of birds, animals, flowers and colour, telling the story of, Spring, Summer, Autumn and Winter. 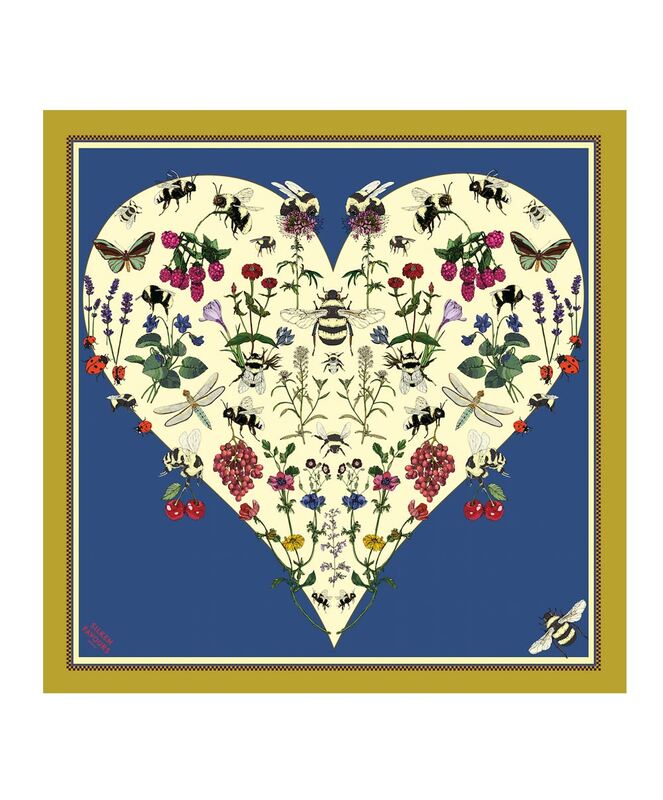 The Bee design was created to help raise awareness for the Friends of the Earth ‘Bee cause’ through a collaboration with my Chelsea hotel. 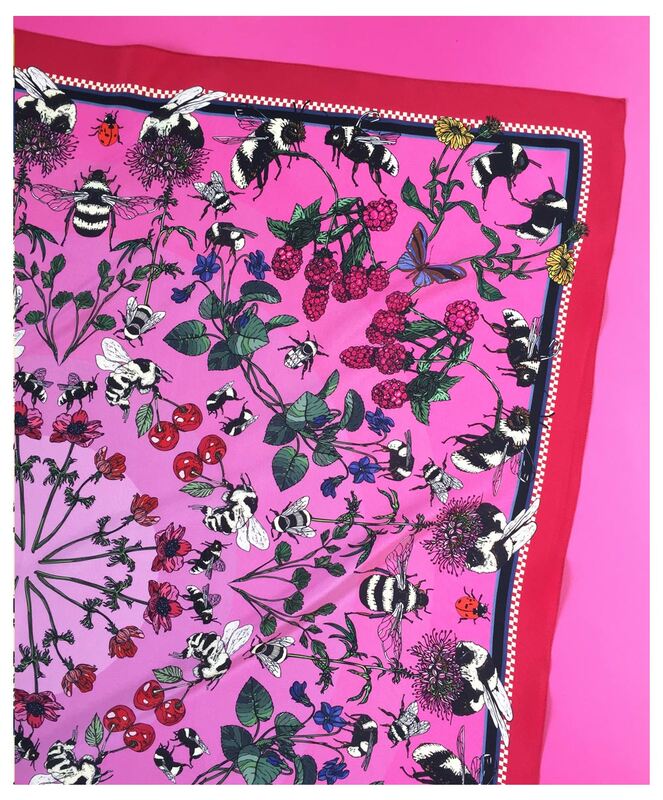 The design shows Bees surrounding wild flowers and fruit that are good to plant to help save the bees. 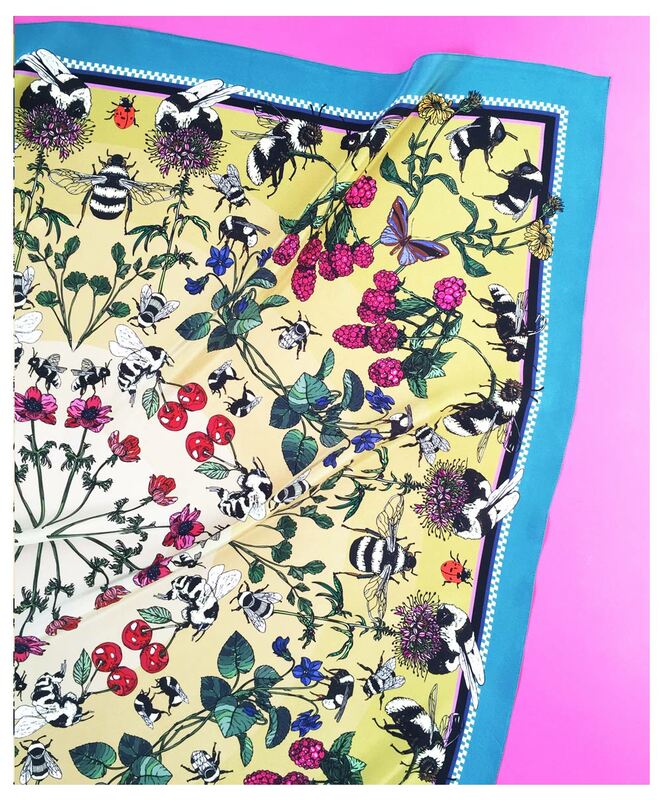 Appraise bee and Praise Be!